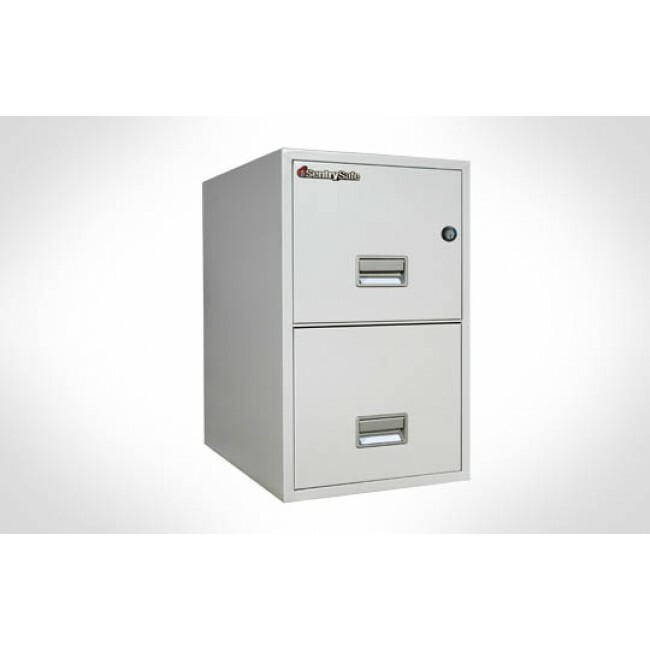 The 2T2531 ia a great file cabinet for the protection of your documents. 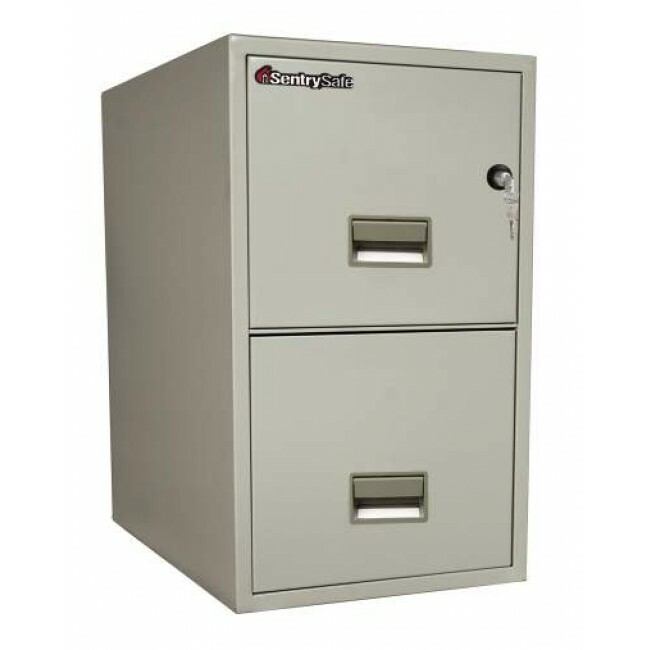 This Sentry 2T2531 fire rated file cabinet is a high security two drawer vertical file. 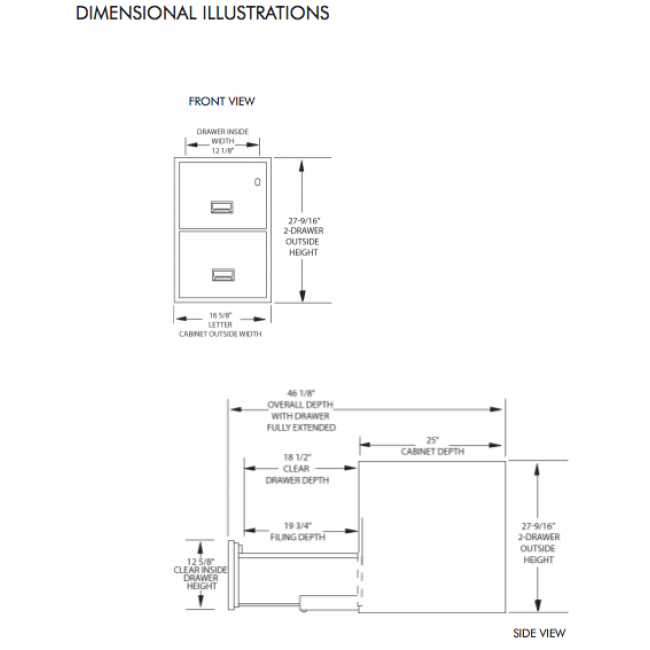 It has a UL one hour fire rating as well as a UL rating for protection against impact and explosion hazard. 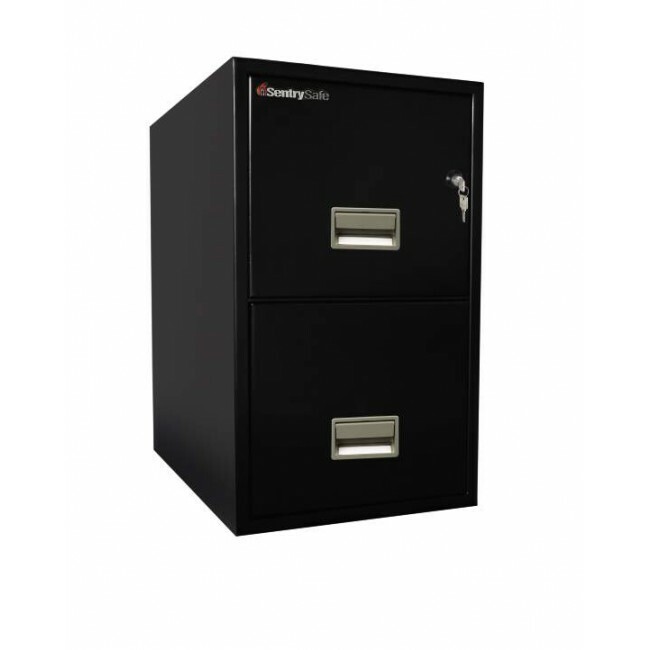 In addition, this filing cabinet has water resistance having resisted one hour of sprinkler and water spray. The Medeco key lock is the highest UL rated lock. Sentry includes with the 2T2531 a media chest for storage of flash drives, CDs and other media. See photo below. 27.6" x 16.6" x 25"